Tongkat Ali, also known as Long Jack, has been shown to support male hormonal balance (including testosterone availability), libido and performance, according to animal studies. Tongkat Ali is a Southeast Asian botanical used traditionally to enhance energy levels, endurance and stamina, and to reduce occasional mental fatigue. 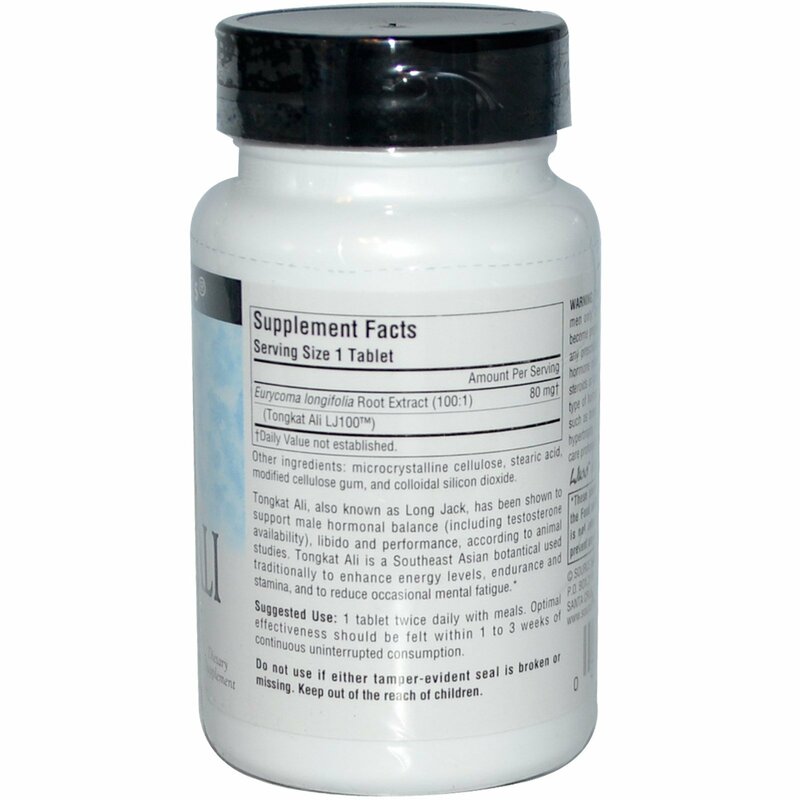 1 tablet twice daily with meals. Optimal effectiveness should be felt within 1 to 3 weeks of continuous uninterrupted consumption. This product is intended for use by adult men only. Do not use if you are pregnant, may become pregnant, or breastfeeding. If you are taking any prescription medications, are taking any kind of hormone modulating supplements such as anabolic steroids or hormone replacement therapy or have any type of hormone responsive diseases or conditions such as breast or prostate cancer, benign prostatic hypertrophy, or thyroid disease, consult your health care professional before using this product.